Developed in the USA by 7th Floor, the Silver Surfer Vaporizer uses 1/5" thick anodized aluminum as the foundation of the unit. The Silver Surfer utilizes a novel reverse 90 degree angle style preventing your contents from falling out of the wand while also using the force of gravity to vaporize your favorite aromatic mix in an efficient process. This specific Vaporizer utilizes a standard or ground glass connection, which enables the user to vaporize while not holding the whip in place, providing a real Hands Free experience. Compared to other glass found on different Vaporizers, 7th Floor uses only the highest quality parts by hand blowing their glass. 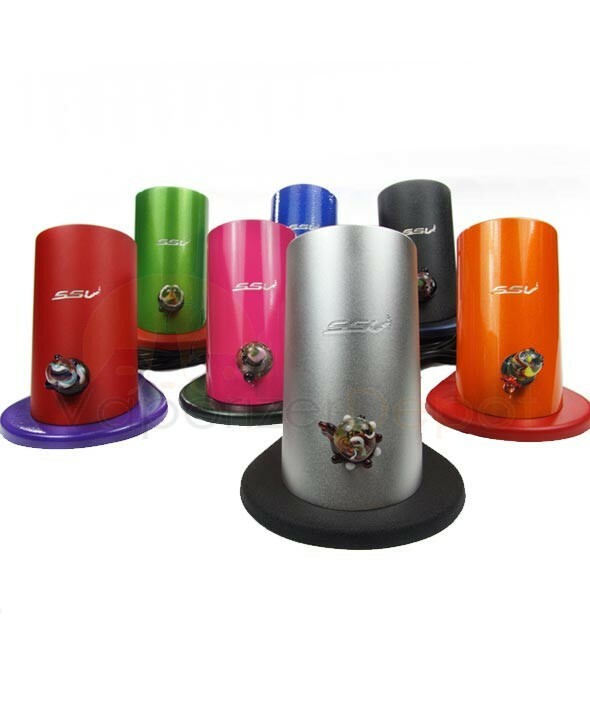 Silver Surfer Vaporizers feature a custom glass knob and heater cover that come in a variety of colors and are completely distinctive. These units come in a wide variety of colors including Black, Silver, Red, Blue, Green, Orange and unique Zen Rainbow. The Silver Surfer Vaporizer's heating element is encompassed in ceramic separate from any electronic parts to prevent toxins from being released, which can happen in certain vaporizers with lower quality heating elements. The Silver Surfer additionally features an indicator light that brightens and dims as you regulate the temperature. 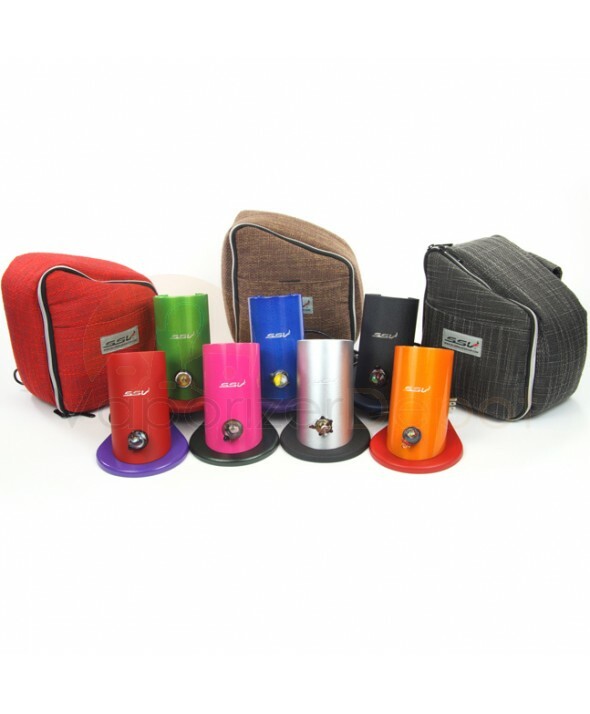 With every unit it includes a padded Travel Case ensuring simple and easy transportation of your Vaporizer. In addition, the Silver Surfer Vaporizer also comes with a complete 3 Year Warranty. If you don't already know all you need to do is look around the web and read some more reviews. This is the best non-forced-air vaporizer around, the only one other vape I think that comes close is the VaporBrothers vaporizer. The Silver Surfer is easy to use, heats up crazy fast and deliver thick flavorful vapor that will have your mouth watering. If you love your plants and want to the maximum amount of flavor/ingredients out of them then you need to take a look at this vape. Best vape I've ever used. I definitely recommend this to anyone looking for a home vape for herbs. This thing heats up quick, made very high quality and works excellently. I was lucky enough to have a rep point me in the right direction before making my purchase. I honestly don't think I'd ever buy anything different after using this thing. I love that it is made in the U.S. and not some cheap piece of junk from China. There's also a great warranty, so if you're clumsy like me, you should be able to get the issue fixed quick and easy from the manufacturer (7th Floor). I've used some other great units like the Vapir Rise and the VaporBrothers, but I think this one is just a few notches above those in terms of performance and reliability. I bought my SSV after my cheap desktop unit died out after about a year and I was amazed with the quality of it. I expected it to be good because of the price and reviews I've read online, but I was more than impressed. The heating element is at the perfect angle to prevent any herb from falling onto the heating element and burning. My old vape was angled the opposite way so my herb would fall down onto the heater and burn all the time. This thing vaporizes flawlessly and is a much sturdier unit. Thanks to this thing, I was able to finally get rid of all my glass pipes and kick the combustion method all together. I recommend this to anyone and everyone looking for the best whip-style vape available. My SSV is hands-down the best whip-style vaporizer I've ever used. I highly recommend it to anyone looking for a high quality vape with great vapor production. It comes with a great warranty too!